In 2015 Royal Parks featured twice on this blog. Supporting The Maureens Diederik Nomden, he is Royal Parks, did solo shows playing his songs with just a guitar or a piano. Both times he made an impression on me as a singer-songwriter who writes songs that aspire to be perfect popsongs sung with a most pleasant voice. The kind of voice that simply touches the ears ever so lightly, instantly pleasing. During the last show I realised that I had never listened to Royal Parks' debut album. The eponymous album stems from 2012 and it is about time that it gets a place on this blog. Diederik Nomden put himself on the spot last September in Utrecht, for what it is worth, that 2016 will be the year that he will finish and release his second album. Let WoNoblog publish this review as a teaser towards that new album, which, having heard some songs live this year, just has to be good. That was the idea. Since January I know that it will be nothing like that. Diederik Nomden is touring with The Analogues, with Déjà Vu and who knows what else. As I am about to go to the Analogues' show in IJmuiden, let's publish this review any way. Memories work quite well. Some of the songs on this album certainly came by in Q-Bus and Ekko. The setting is completely different. Gone is the singer-songwriter, enter the band. 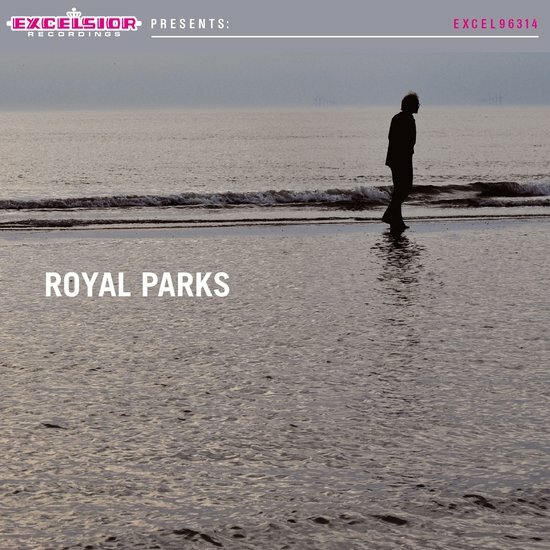 'Royal Parks' knows a full band setting which makes the songs different. It makes that I have to make a jump from the intimate versions I remember and have come to like all these other things going on. There are so many discoveries to make. Two things do not change: the melodies and the voice. They are an easy way in to 'Royal Parks'. Back to that switch I had to make. 'Icy waters' is a song now with a The Beatles flavour and a REM bite. With The Beatles a main influence on this album is mentioned. It is in some of the singing and in the chord progressions. From there Royal Parks steps forward and creates its own world. The sound is cool like the title suggests. It all melts when a Hammond organ enters the song in a prominent way. It moves around the tightly played instruments like a snake around a leg. The Hammond even creeps up to sounding like a mellotron (or is replaced by). The ice does melt. One of Royal Parks' price songs is 'She'. This song comes so close to be perfect. The dirty sounding guitar, at least for a song like 'She', cuts the idyll apart. The song could have been on any of the Johan albums and would have stood out. Things don't stop there. The much smaller 'Doing Overtime' really shows how good Diederik Nomden is. His voice is so good. Without any kind of hindrance of whatever he gives it his all. Everything in the background is kept small. An acoustic guitar, a soft bass and a mellotron. When 'Doing Overtime' started I had the impression that this was going to be Royal Parks' 'Yesterday'. It isn't yet it has the same homeyness. The song is pretty, subtle, pleasing and plain good. A price song they call this. A song like 'Doing Overtime' makes me wonder if this is "the real Royal Parks" and the louder rocking song 'Taken From Me' "the Excelsior label" Royal Parks? The former song sounds so much more authentic. And I don't even mean to say here that I do not like 'Taken From Me'. Far from even. There is just more heart and warmth in 'Doing Overtime', just like in the electric ballad 'Little Bird'. 'Royal Parks' easily remains at this high level. Diederik Nomden is a songsmith in the true sense of the word. His songs come alive when he stands on a stage with an acoustic guitar or a keyboard, they do not need all that goes on on the album. Of course they sparkle a bit more because of the extra instruments, but at heart they live easily without the embellishments. It is time for that new album. I hope to be able to review it 2017. Please finish it soon, Diederik. The world needs songs like these.